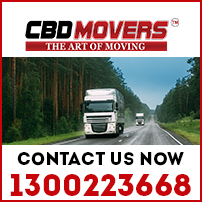 CBD Movers™ is a renowned moving company in Melbourne, Australia. Through our dedication, perseverance and hard work, we have managed to create a niche for ourselves in this elaborate and deep-rooted removal industry. We are trained to handle all facets of a move and provide outclass relocation services in Melbourne to undertake house, office and furniture removals. Our well established and vast network helps us move interstate anywhere to Brisbane, Adelaide, Sydney, Canberra and Perth. We are registered movers in Melbourne, and comply with all legal requirements to undertake a move. Let us take the stress out of your relocation needs. 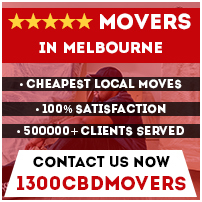 Talk to the most cheap movers in Melbourne. Call on 1300 223 668 or Request Call Back! At CBD Movers, we take pride in our best-in-industry crew. Our men are courteous, polite and hard working. Their empathetic approach allows them to understand the distinct and unique requirements of every move. The crew is fully trained and equipped to undertake moves quickly and effectively. We own the best-in-class vehicles. Our fleet of trucks is befitted with climate control systems and other requisite mechanisms for a safe and well protected move. Our meticulously planned, flawlessly executed, timely and affordable removals make us the most sought after removalists Melbourne. Get in touch for superior advice and able support for house moving, office shifting and furniture removals with one of the most cheap movers in Melbourne. Save time and money with the best and cheap movers in Melbourne. We can assure you a safe successful and affordable moves. Our team is fully-equipped with the tools of dismantling and reassembling. Fully insured removals and extreme precision when handling fragile products. Expert storage service available at affordable rates. Pre-packing services available for smaller items and boxes for saving your time. 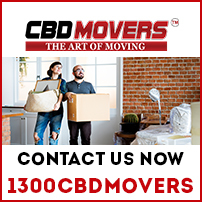 Moving Interstate or across the state is easy with CBD Movers. Our 15+ years of experience has helped us create a benchmark in the industry. If you are looking for a company that provides the best in quality services at most affordable rates, then give us a call at 1300 223 668 or Request Call Back for the most incredibly cheap movers in Melbourne.